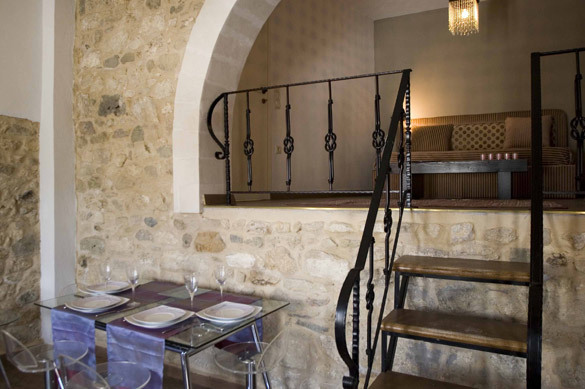 This two floor, stone built property is located in one of the highest villages of eastern Crete ; Agios Spyridon. What makes this house unique is the exceptionally modern interior design integrated to the traditional setting. The stone walls contrast with the modern flooring in the two level living room. On the lower level you find the kitchen with a dining room and on the higher level the sitting room with a separate bathroom. On the first floor there are one bedroom and one bathroom. All areas of the house have a mountain view and due to the space allocation and the high ceilings of the living room the house offers a very comfortable feeling. The higher level sitting room can be converted into a second bedroom.